As naturally salt-tolerant plants, halophytes can grow in a variety of saline habitats due to the development of special adaptations, particularly secondary metabolites with antioxidant properties. Since, in order to overcome harsh environmental conditions, halophytes have the ability to produce phenolic molecules with powerful biological capacities, this interesting ecological group of plants gets more attention in recent years because of a rapid increase in demand for natural bioactive substances. 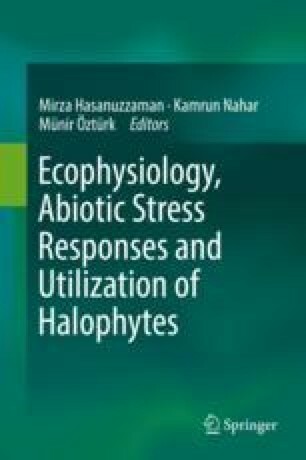 Having in mind that specific conditions of saline habitats cause specific responses of biochemical pathways of plant metabolites, which is related to their biological activities, the developmental stage and yield of individual plant species together with environmental factors must be considered in further studies. In this paper, halophyte secondary metabolites with antioxidant properties were reviewed in terms of their contributions to ecophysiological adaptations. Additionally, a complete experimental screening – from plant sampling through the methodological procedure to the presentation of the obtained results – was displayed in order to enable the selection of appropriate screening method together with the proper methods of extractions and applications of obtained results.